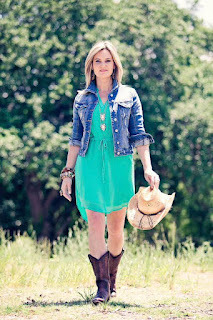 This week, Nicole from LiveMom posted an informative and helpful list of what to wear and what to bring to the Austin City Limits music festival. After six years, she has built up an impressive knowledge base and answers just about any question a festival-goer could think of as it relates to this topic. At ACLwithKids, we're going to take that a step further and share some advice from an Austin-based fashion expert and mother of two, Jennifer Young of Forever Styled. Forever Styled was created by Jen with the purpose of assisting both men and women of all ages and body types with their wardrobe challenges. In an interesting tie to the ACL festival, she says her love for fashion was born out of her passion for musical performance, where making a positive first impression is a must. Last year at ACL, it was hot and humid during the day. The year before that, it was muddy. What do you recommend wearing for various weather situations? As ACL season approaches, I encourage my clients to thoughtfully prepare for unpredictable weather. If you don’t want your entire festival experience to be ruined by a little heat or rain, I say focus on a look that gives you the ability to easily heatproof/waterproof your look while remaining stylish. Dress in lightweight layers beginning with a simple bohemian inspired, cotton layering tank, swing dress or romper for your base. Top with a trendy fringe vest, denim jacket , or lacy cardigan. Lightweight faux suede pants (in wine or charcoal shades) or the more 70’s inspired flared jean are always an adorable way to avoid sweating to death on your bottom half. Bring a simple change of footwear (Hunter Boots are my fave) and a pocket-sized umbrella to equip you for your (dare I say) “Singing in the Rain” moment. ACL requires a lot of walking and standing. What shoes are comfortable and still look good? 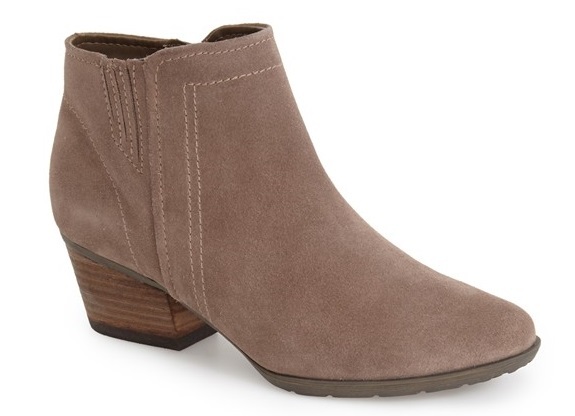 I adore the ‘Valle’ Waterproof Ankle Bootie that provides practical comfort and a solid rain defense. If you are more conservative in your style, the Sam Edelman ‘Felicia' Flat (which comes in several colors and has a great price point) is my go to. A woven ‘Adidas' sneaker is my default for men. Avoid flip flops and any other open toed style shoe. I assure you that mud and manicured feet do not mix. It could get cooler in the evening. What's the best way to layer for parents and children? Layering 2-3 lightweight pieces is key, using a drape collar leather jacket or an embroidered mesh bomber jacket as the bulkiest outwear you’d consider for the ladies. A jean jacket (great for kids) with a little spandex is also ideal as it breathes better in the heat. For the gents, consider an edgy cotton shawl collar cardigan. Build your "layer stack” with a neutral camisole for the gals or basic moisture wicking graphic t for the guys, followed by a short-sleeve or a long sleeve denim shirt that can be rolled up (meaning it can look good without all the toppers on its own) and complete with the outwear complete the look. What kinds of fabrics are better when it's hot? Cotton, cotton and more cotton. Cotton/Spandex blends are great too. Silks generally will make you a hot mess. Avoid 100% polyester unless you pack your deodorant. Wink. What kinds of hats are a good choice to stay shaded? 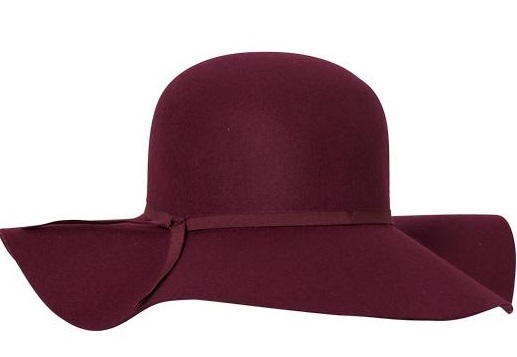 A wide brim fedora and the classic floppy felt hat are considered festival essentials. What kind of bag might the mother of a baby bring along? How about the mother of a kindergartener? 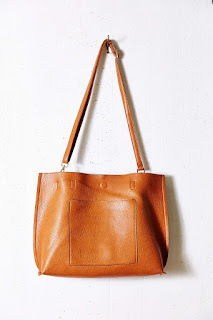 I adore my reversible vegan leather tote from Urban Outfitters that works well for diapers and iPads. If you are looking for an all-weather alternative this leather studded OiOiBaby Bagis unreal! Where was this bag in my life when I was pregnant many moons ago? Any other fashion advice for ACL and other music festivals? Don’t be a slave to the trends or try too hard. Just pick clothing that makes you feel confident and comfortable first. Add a fun accessory like a fun pendent style necklace or headband for a little flair. No need to wear a dream catcher around your neck just to fit in. Just be you and celebrate that the fact that you actually made an effort to get out on the town with your friends and/or family.